You get to change ONE thing on a current car to make it more in line with what you want. From now on, the manufacturer has to sell the car with the change that you specified (as an option). It can be a body modification, it can be a transmission swap, it can be a turbo. Anything goes. Okay, me first. If I could do one thing.... It would be this. 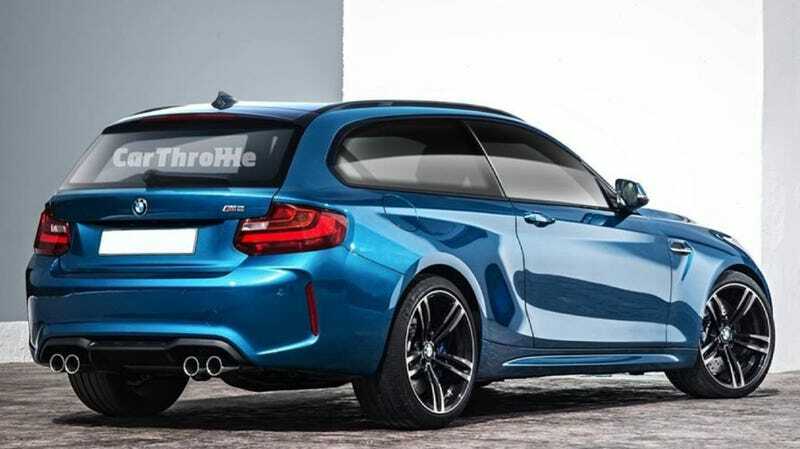 M2 is now available as a hatchback. We’ll say it adds... Oh, $3000 to the price. That seems somewhat in line with how BMW does things. It’s still a 2-door. Still rwd. Still has the manual option. Just, hatchback. A rwd hot hatch. The ONLY rwd hot hatch if I’m not mistaken. Actually more of a flaming hot hatch, the M2 Hatch shouldn’t be compared to the likes of a Focus ST.